The Invisible Circus produces unique circus theatrical experiences in a wide variety of unusual locations. In the past, these have included an ex-cathedral, a car garage, shops, warehouses and most recently a police, fire and law courts complex as well as more traditional settings such as circus big tops and established theatres. Based in the UK since 2002, the company draws much from its decade of travelling as a street performance troupe in the 90’s, exploring Europe’s rich performance culture and traditions by performing and collaborating with local artists in creation centres and festivals in Portugal, Spain, France, Germany, Belgium, Holland, Switzerland, Austria, Greece and Italy. 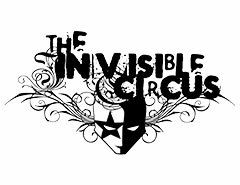 For Educircation- CIRCE project The Invisible Circus will hold a workshop in Bristol taught by the incredible Albin Warrette from France with the focus on teaching circus teachers how to fuse circus with theatre.